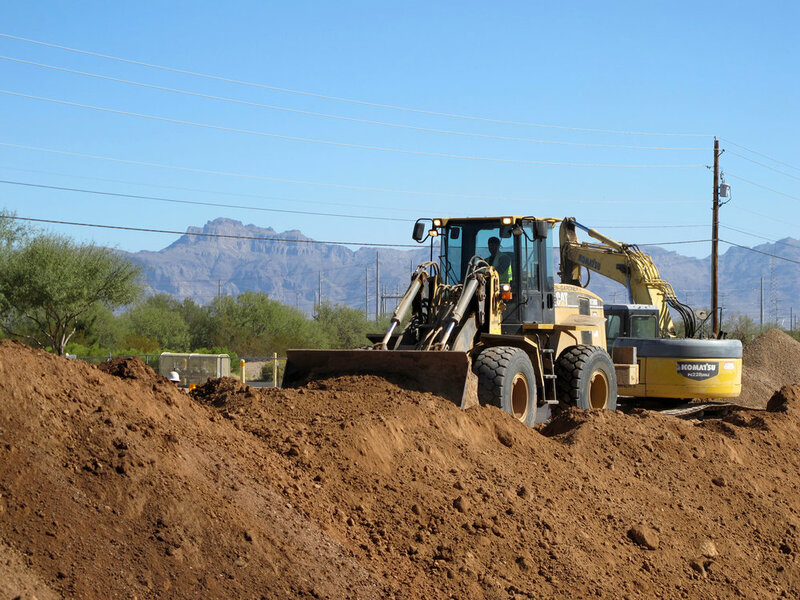 The project included 9,078 LF of 24-inch sanitary sewer that was 23 to 30 feet deep on the south side of Elliot Road from Ellsworth Road to Signal Butte Road. A jack and bore 42-inch casing ran across Ellsworth Road for the 24-inch sanitary sewer. 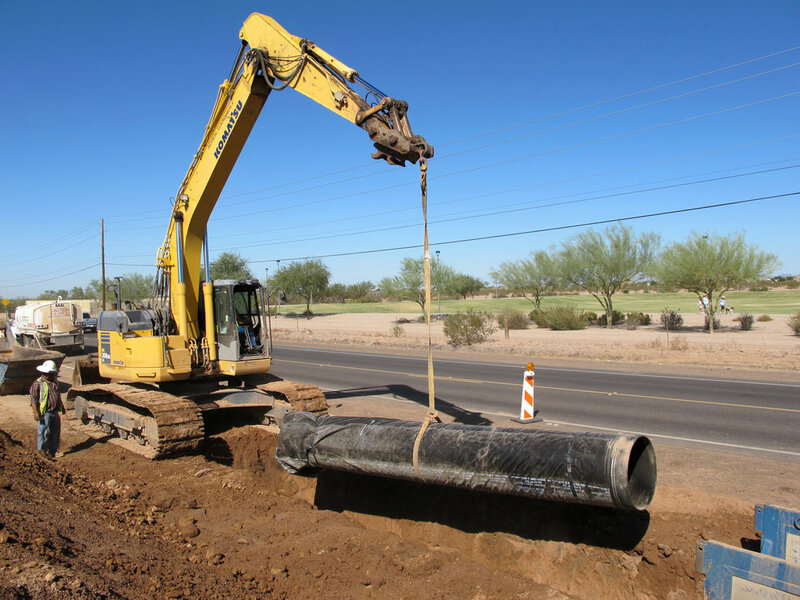 Crews also installed 6,330 LF of 36-inch to 10-inch waterline on the south side of Elliot Road from Signal Butte Road to the Crismon Road alignment. 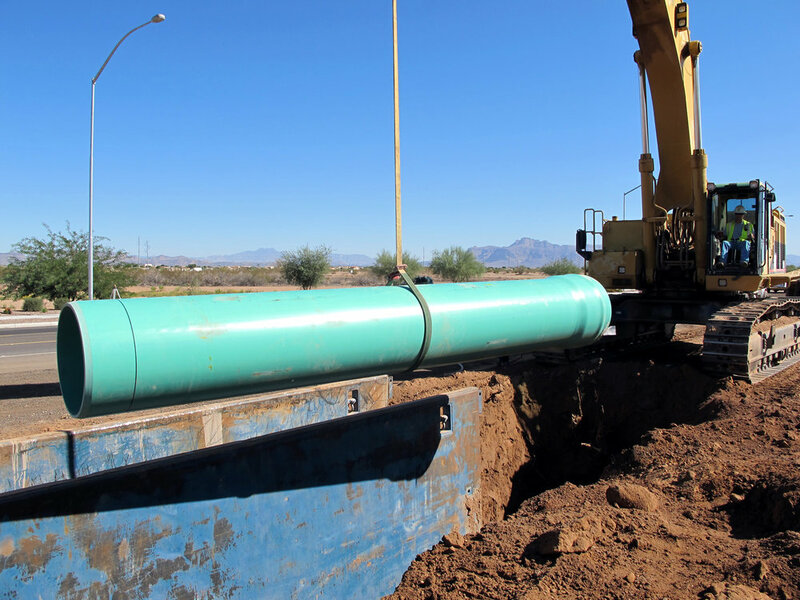 The waterline, plus gate and air release valves, are part of a well collection pipeline for the City of Mesa. 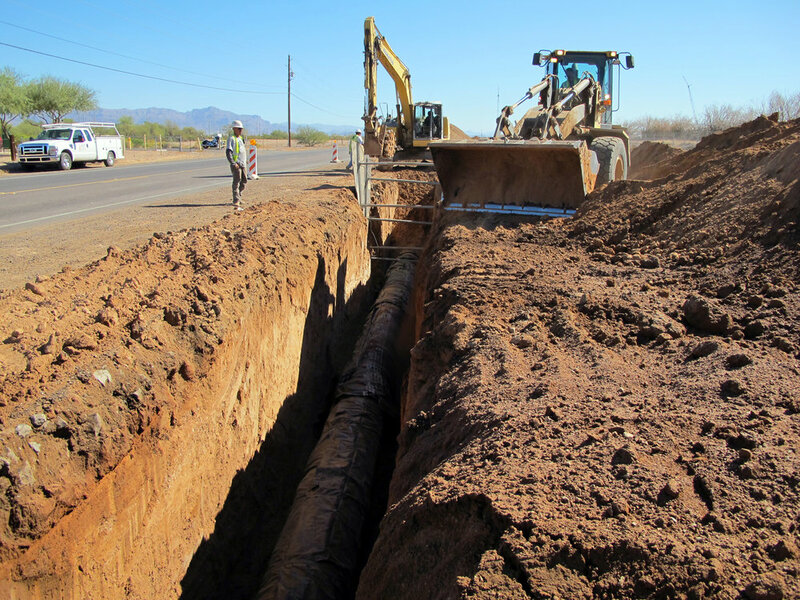 We also installed 15,811 LF of fiber optic line for the City of Mesa. In addition to underground wet and dry utility improvements, work also included widening the south half of Elliot Road and the west half of Signal Butte Road to two lanes in front of the GT Advanced Technologies plant (which is now mass producing sapphire crystal for Apple Inc.) located on the southwest corner of Elliot and Signal Butte Roads. Additional roadway enhancements included curb and gutter, sidewalks, landscaping, street lights, and traffic signals.